This season has been all about the “Big 3” in racing and this week, at Pocono Raceway, it would appear to be no different as NASCAR heads back to the 2.5-mile track in Pennsylvania for the second time this year. 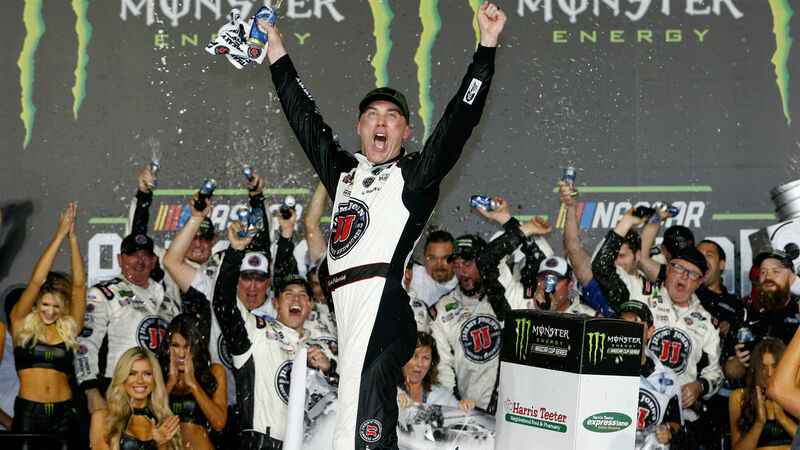 Kevin Harvick, Kyle Busch and Martin Truex Jr., have combined to win 15 of the first 20 races this season marking the first time since 1999 where three drivers won at least four races through the first 20. Truex returns this week as the winner of the first race at Pocono this season, while Busch is the defending champion at the Gander Outdoors 400. Both have had recent success at the track where Truex is looking for his third win in Pocono and is attempting to become the first to sweep both runs since Dale Earnhardt Jr. in 2014. Busch earned his first win on the track in 2017, but has finished in the top 10 in each of the last four races in Pennsylvania. He finished third in June. Kevin Harvick was close behind in fourth place and is still looking for his first win at the Raceway. These are the three favorites to win the race and you can’t go wrong choosing any of them, but we are going with Harvick to finally get over the hump and grab his first win at Pocono on Sunday at 2:30 p.m. ET on NBCSN. Harvick will be back in the chassis he rode to a victory at Las Vegas earlier this year, and with the long flat track in front of him where horsepower and speed rules, Harvick will be in great position as he has routinely been the fastest car on the track this season. What are the betting odds for Pocono? Which NASCAR drivers are best for fantasy lineup at Pocono? Denny Hamlin is the active leader in wins at Pocono Raceway with four, and after coming off of a wreck-shortened race and a 35th place finish in June, he’ll be looking to earn his first win of the season Sunday. Chase Elliott has the fourth highest driver rating at Pocono among active drivers (99.7) and has one top-five and four top-10 finishes in five career races at the 2.5-mile track in Pennsylvania. He has been in the top 10 all year long just aching to break out and Pocono may be his race to do it. Kurt Busch still doesn’t have a win this season, but he won the pole last week in New Hampshire and earned himself yet another top-10 finish giving him 11 for the season to go with three top 5s. Busch has three career wins at Pocono and is coming off of a bit of a disappointing 19th in June, so he’ll be looking for some redemption Sunday. Kyle Larson has had either the fastest car on the track or close to it throughout this season, and if there is any race to let it go on tour it would be Pocono. He has two top 5s and five top 10s in nine career races at the Pennsylvania track along with the sixth best driver rating (96.3) among active drivers.